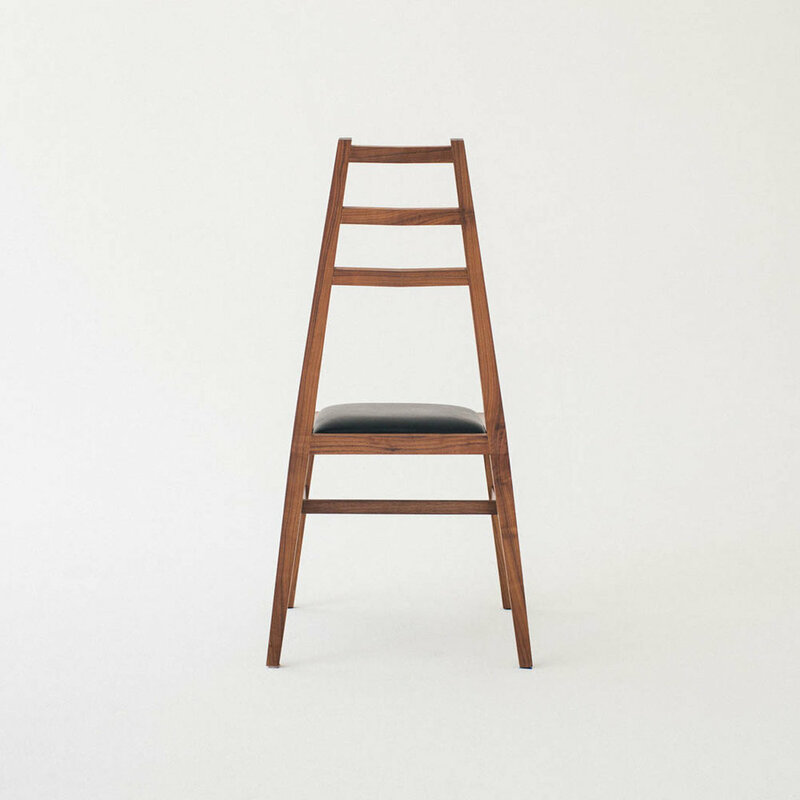 Bas Chair — De JONG & Co. 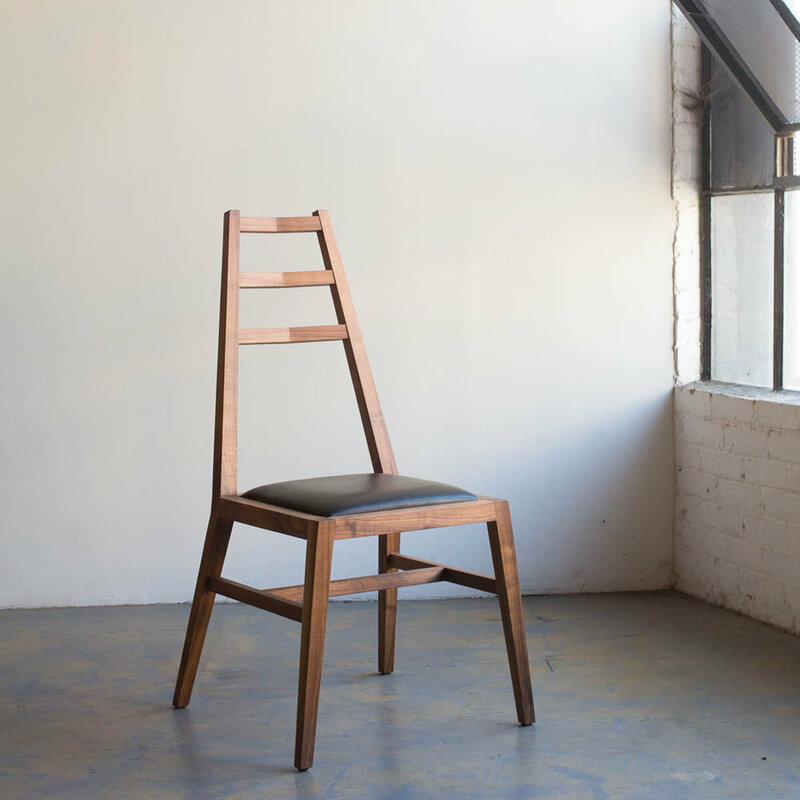 The Bas chair is a minimalist design and a contemporary take on a Shaker ladder-back chair. It features a padded seat and more modern angle with a sit that is slightly more forgiving; all while still carrying the elegance of a formal dining chair. The three rung back is angled inwards towards a centerline which hugs your back keeping pressure off your spine for a comfortable sit. 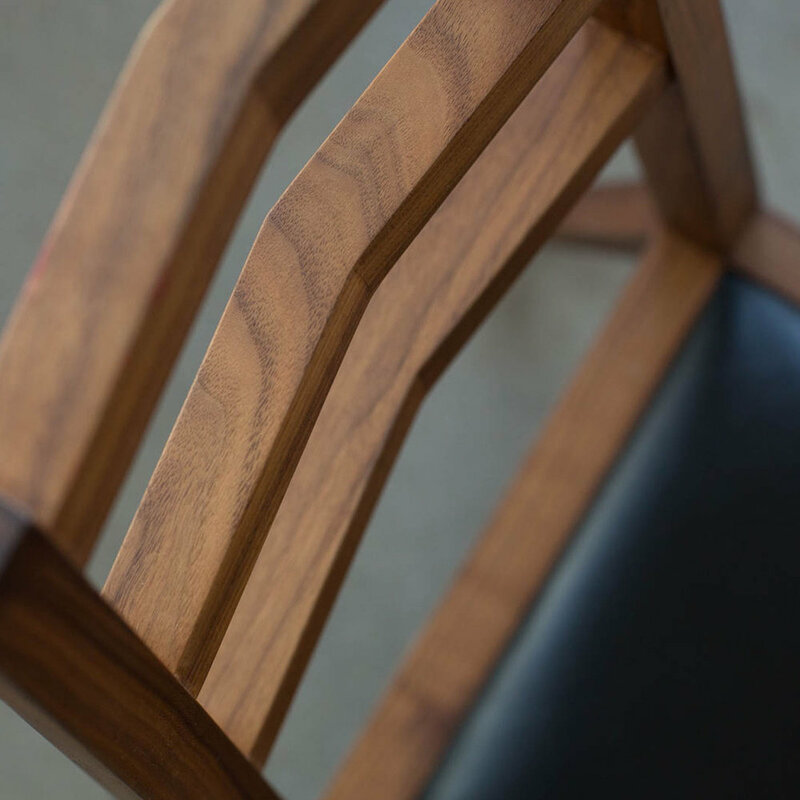 The Bas chair is built with solid wood construction and traditional joinery. Available in custom species and upholstery.